This hilarious and heart-warming adaptation tells the story of the miserly Ebenezer Scrooge who, with the help of some Christmas ghosts, discovers the love and joy of Christmastime. This is a story for kids young and old so bring the whole family! The University Wits, a non-profit theatrical company, welcomes in the Holiday Season with a delightful twist on the classic tale that’s fun for the whole family: A Christmas Carol by Doris Baizley. Performances will run in Grand Rapids December 9 and 10 at 8 p.m. and December 10 and 11 at 3 p.m. at Dog Story Theater on 7 Jefferson Ave. SE. This hilarious and heart-warming adaptation tells the story of the miserly Ebenezer Scrooge who, with the help of some Christmas ghosts, discovers the love and joy of Christmastime. 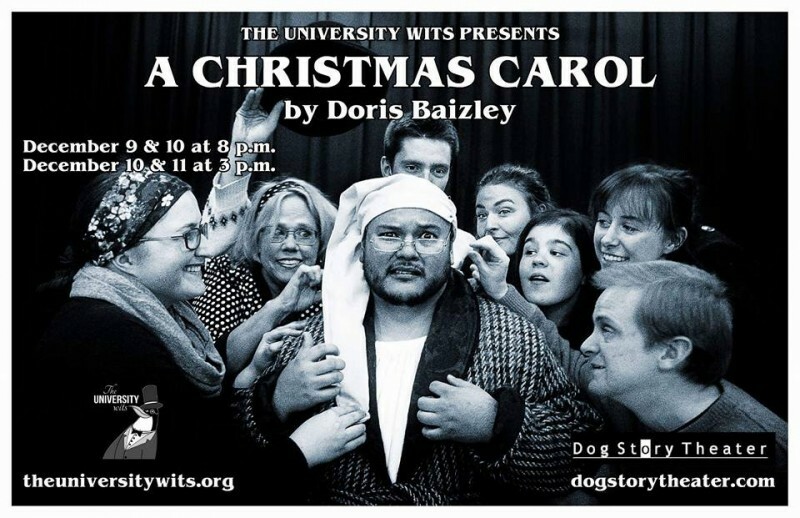 Baizley’s inventive and entertaining reimagining finds a group of traveling actors attempting to perform Charles Dickens’ story only to discover that their lead actors are nowhere to be seen. With a little luck and a lot of help from their miserly “Stage Manager” and tiny “Prop Boy,” the company is able to bring the play to life! The novella, 'A Christmas Carol' by Charles Dickens was originally published in 1843 and has been transformed and retold for decades. “I think the reason it has endured for so long is because it is a story that is told within everyone’s lifetime. 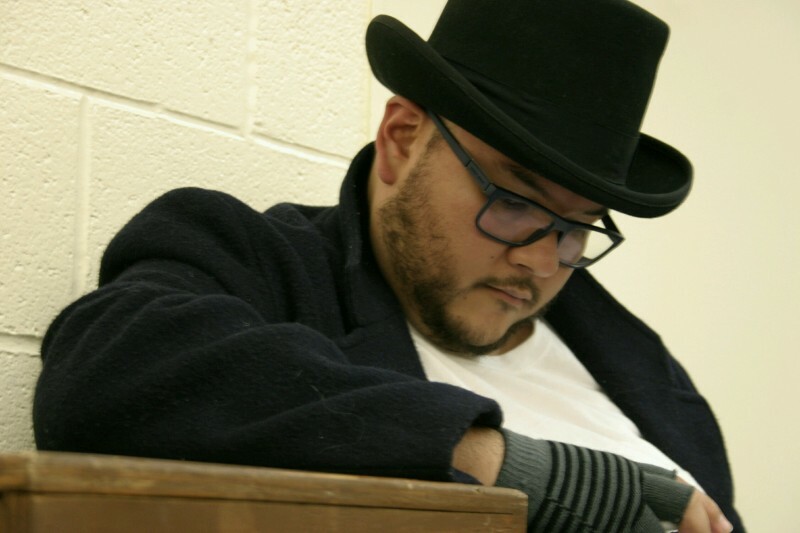 We all have things in our past we wish we could change, things in our present that we never get to see, and things in our future that we fear and deny,” said director Kyle Walker. 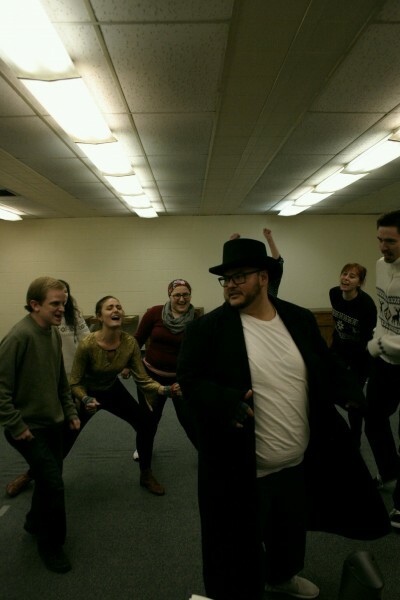 Walker, director and Grand Valley State University alum, last saw a production of A Christmas Carol when he was in it. He was in a production of Scrooge: The Musical in high school and played the role of Fred, Scrooge's nephew. “Since high school, this has always been a story I’ve wanted to tell on stage,” Walker said. Walker wanted a straight play version which is why he chose this adapted portrayal of A Christmas Carol. He might be known for challenging himself by taking the musical element out of certain musicals and bringing to life an originative approach. Walker recently staged a self-adapted version of Phantom of the Opera which was a hit on the Dog Story Theater stage. “This is a story for kids young and old so bring the whole family! By the end, you’ll all be laughing, crying, or humming some carols on your way out,” Walker said excitedly. Tickets range from $12 - $16 and are available at the box office one hour before the performance or online. General admission $16 and student/senior rush $12. The cast includes: J. J. Lindke as Stage Manager/Scrooge; Peter Johnson as Prop Boy/Tiny Tim/Scavenger 4/Parrot/Little Caroller; Betz Lund as Director/Marley/Fred/Scavenger 1; Michael Pollock as Leading Man/Bob Cratchit/Mr. Fezziwig/School Master; Seraphina Anne as Leading Lady/Mrs. Cratchit/Christmas Present 1/Scavenger 2/Ali Baba/Clown 1; Amanda Grah as Ingenue/Mrs. Fred/Belle/Christmas Present 2/Scavenger 3/Clown 2; Laura Warsaw as Character Woman/Charitable Table Woman/Mrs. Fezziwig/Mother-In-Law/Jake The Fence; Mariea Luisa Macavei as the Spirits, Christmas Past/Christmas Present 3/Christmas Future/Clown 3. For future productions and auditions visit The University Wits website or follow them on Facebook!